Change your dog's Doggles ILS2 lenses for fun or function! If your original lenses get boring or worn out for your Doggles ILS2 dog goggles, replace them easily with these cool gray lenses! 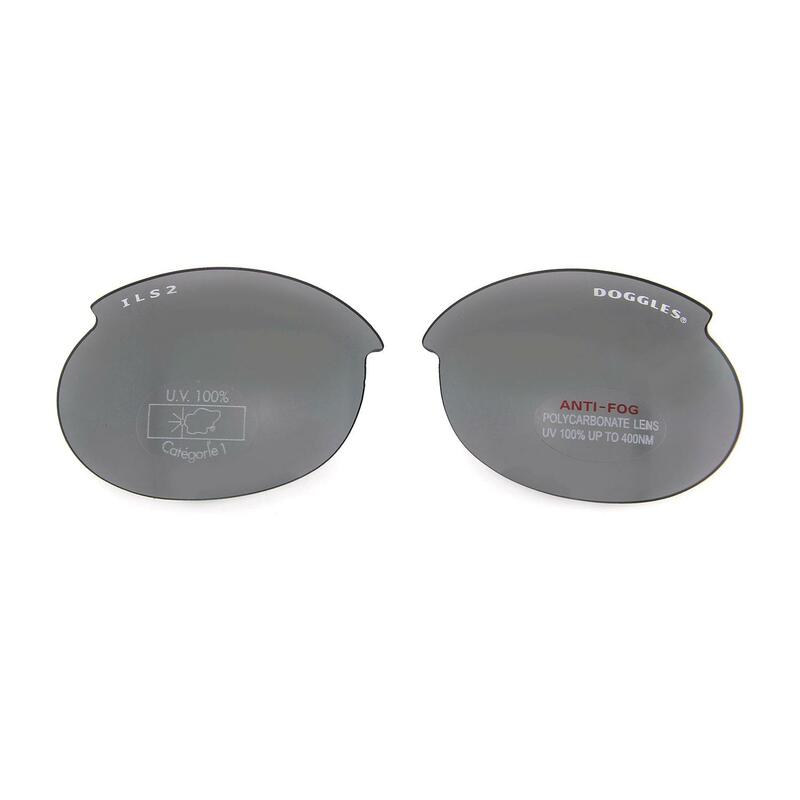 These smoke-colored lenses are popular for their light diffusing properties and are a great choice in bright light conditions. These lenses are easy to change out. Simply slide out the old lenses from the top of the ILS2 Doggles. After making sure you have the left and right lenses sorted, slide the new lens or lenses in the slot. 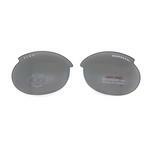 This ILS2 Replacement Lens Set comes with a protective carrying case. 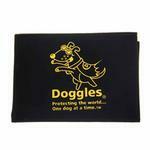 Doggles help dogs who need eye protection from the sun's harmful rays, flying debris, wind, blowing sand, rocks, or bugs. Need help determining which Doggles ILS replacement lenses you need? Check your current ILS lenses. The original ILS lenses say "Doggles" on the left and "ILS" on the right. You can find the original ILS replacement lenses here. If your current Doggles lenses read "ILS2" on the left and "Doggles" on the right, this is the correct model for replacing your lenses. Note: Sizes listed reflect the dog goggles that the ILS2 replacement lenses fit. To verify what model of ILS Doggles you own, the left lens will say "ILS2" if this is the replacement lens model you require.